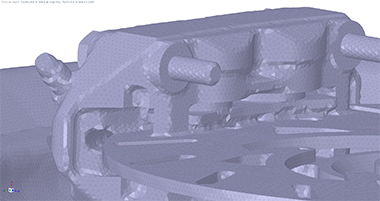 Fikus Visualcam 3dcad is the fastets platform for working with geometry, whether to design a part, prepare a model for downstream jobs, or reverse engineer an STL file. With this release we deliver a 10x faster 3D modeling than any other solution in market today. There are many improvements in Fikus 3dcad 2016 than allow their customers speed up their time to market with 10x performance improvement, more tools for faster geometry creation and editing, and expanded file import and editiong capabilities. 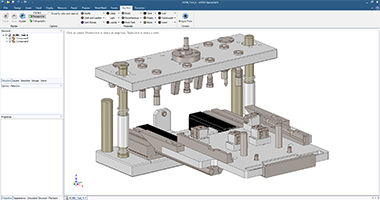 Fikus 3dcad empowers customers to realize efficiency gains across their entire product workflow. 60% reduction in startup time. 10 to 50x faster uploading and saving large files. Up to 200x speed improvement in some tools like imprint. Import enhancements such as: ECAD (Cadence, GDSII, OBD++, etc. ), Sketchup 2015, Solidworks 2015, Creo 3.0, ST7, Catia V6. Graphical support for DirectX11 and OpenGL. New language support: Russian, Dutch and Hungarian. Live linking with Keyshot is now available to easily update edits in a model in Keyshot without redesigning the rendering scene. Specially interesting new tool to falg groups for locking/monitoring dimensions and the new scripting option which will be out in Beta. In addition, there will be enhancements such as: Patch blend preview or interactive curve, drag, snap and copy. 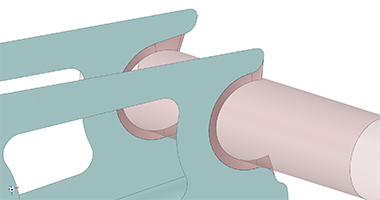 The news Sking Surfacing tool allows Fikus 3dcad user to more easy reverse engineer complicated geometry quickly by surface fitting to faceted models. Users can directly edit patch boundaries, connect neighboring patches, create 4-sided, 3-sided, domed, and periodic patches, and automate smoothing. Another exciting new feature is our new Shrinkwrap tool for 3D printing which makes it easier and faster to repair STLs ans create watertight faceted files from complicated geometries. Import PLY files and import/export VRML files. 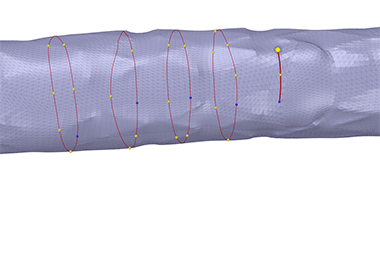 We improved the sensibility in our Thickness Detection Tool and improved our Autofix Tool to correct over-connected angles. Customers will see a 50-100% perforance improvement for many of our 3D printing tools. Turn profile MFG-centric improvement like protusion handling; improvement orientation setup, and feed rate imput. Other manufacturing enhancements such as: Curve table improvements; QIF inspection format import/export; and SAT PMI export. New Sheet Metal Tools: Flange Tool; Create/Unfold watertight corners; Create/Unfold complex forms. We created an Extract Geometry command for sub-modeling. There are improvement in the Imprint tool such as: tolerant imprint added; support for beam/face/edge intersections; and a larger/no item limit. We expanded the Power Selection Tool capability for beams midsurfaces by profile type, and thickness. Repair tools are improved to include surface split edges and surface short edges. We've added a Library of standards beam x-sections. There is a new Weld tool to ensure the mesh includes all welded connections. New capability for continuous round chain splitting.